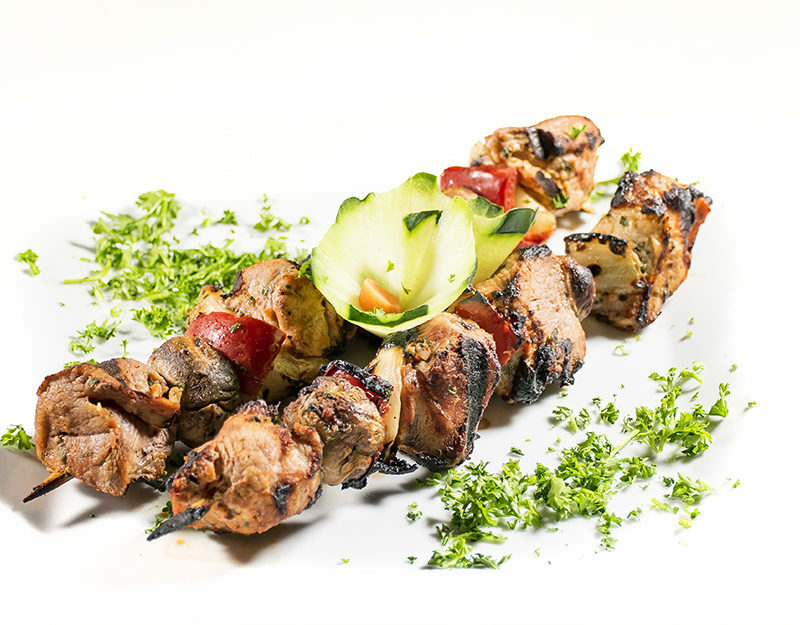 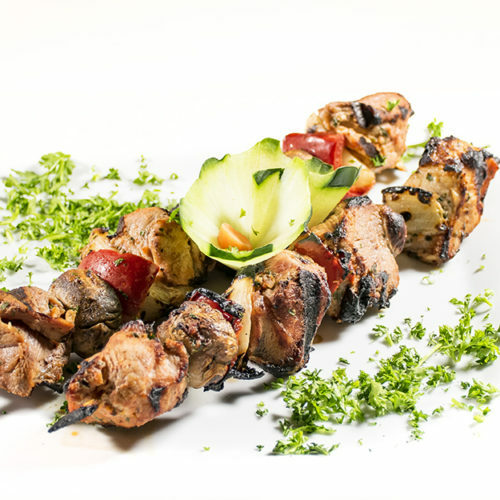 Two grilled chicken skewers with mushrooms, onions and peppers. 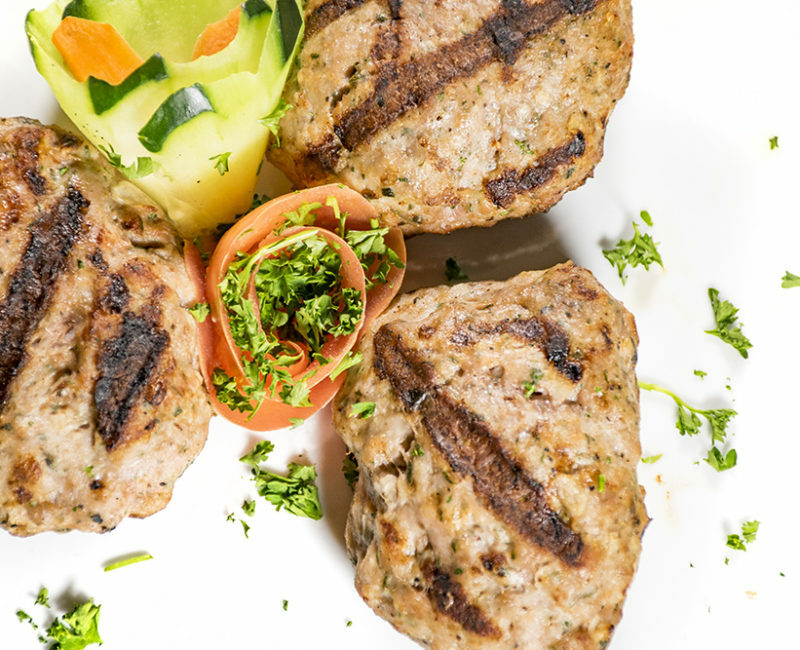 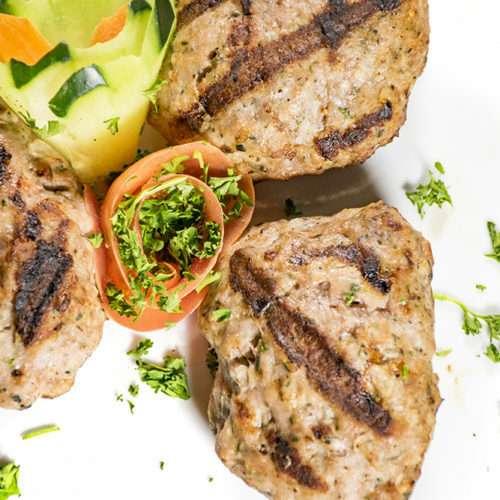 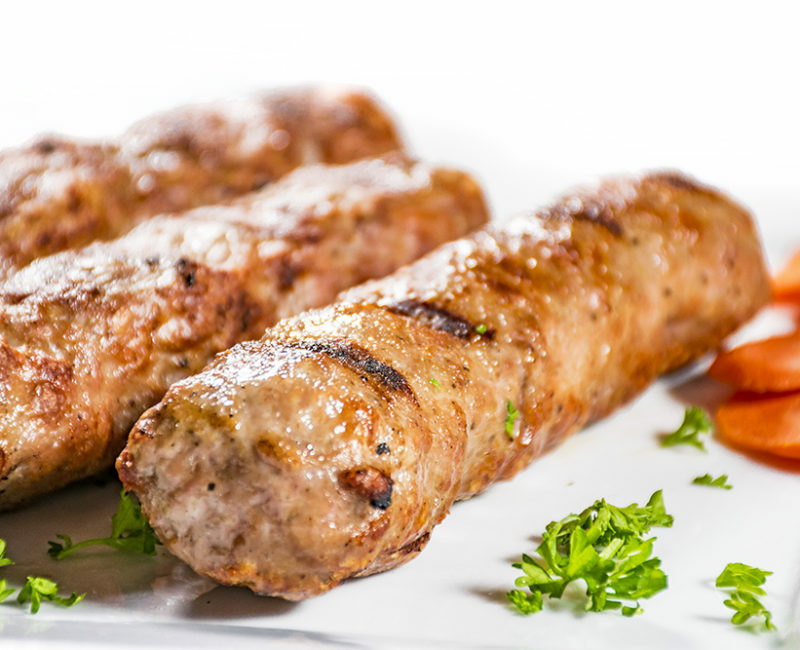 Three grilled pork meatballs, seasoned with traditional Bulgarian herbs and onion. 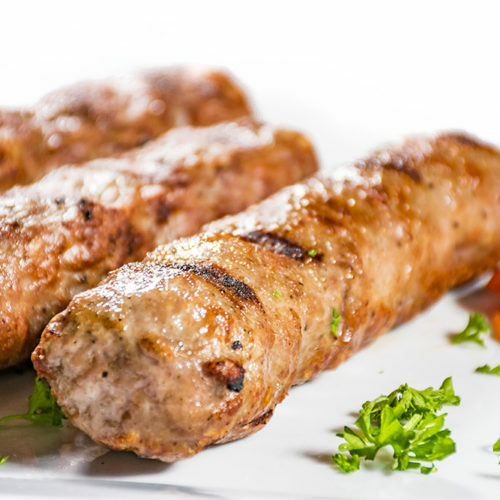 Three grilled spiced Bulgarian style pork kabobs.